- Whether local shifting, Domestics shifting, car shifting and commercial or office shifting , Balaji Packers & Movers offers the most comprehensive suite of services in the industry. 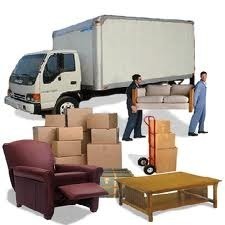 - Complete Line of Packing and Moving Supplies. Specialized Packing Services, Including Antiques, High Value Electronics and Artwork. We have little difference in doing packing we do it just like we our packing and moving our home but different people do this work for money. Domestic Relocation Servces | Residential Relocation Services | Home Shifting Services | Local Household Goods Shifting Services - moving made simple with Manish Packers and Movers Indore. Tci is fully equipped to handle your bulk/ftl movement from anywhere. Our network of 700 company owned offices makes us closest to any source of raw material or any plant or any customer in the country. Our unpacking Blue Ribbon Home Settlement Services take the stress out of moving. We will unpack each of your removal goods to bench tops or if you wish you can have our full packaged service as an optional extra. We can unpack your kitchen, bedrooms, the whole house.